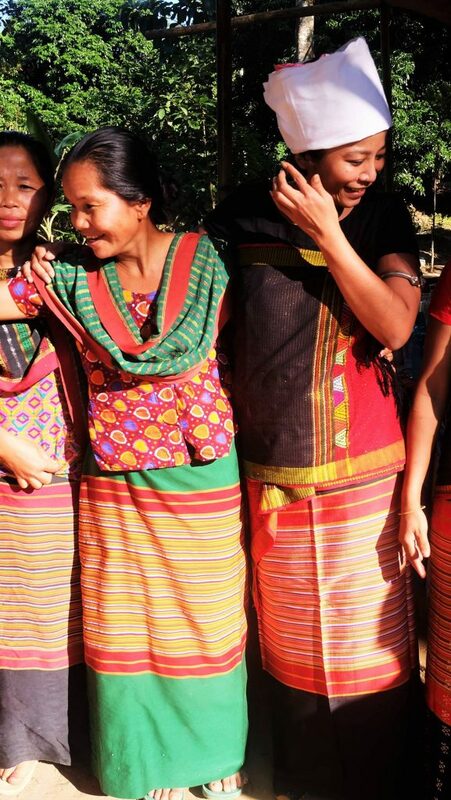 The Chittagong Hill Tracts Commission (CHTC) has called for an independent investigation into the alleged abduction of the two Marma sisters and the physical assault on Chakma Queen Yan Yan. The two girls, who were allegedly sexually assaulted on January 22, were undergoing medical treatment at Rangamati General Hospital (RGH). On January 22, two teenage sisters of a Marma family were allegedly raped and sexually assaulted by security forces in Orachhari village under Farua Union in Rangamati’s Bilaichari Upazila. The news of the incident spread on social media, but reports are conflicting and often incomplete. Chakma Circle Chief Raja Devasish Roy’s spouse Rani Yan Yan was assaulted on Thursday, 15 February 2018 around 7-8 pm while she was at the Rangamati General Hospital with two girls from her community, who were sexually violated on 22 January. The following account is based on her own narrative and that of a woman volunteer who was also assaulted along with her. At one point, being so incited by the police, the father slapped one of the victims and at another point, the mother slapped another one of the victims. Rani and her volunteers intervened. Additional Superintendent of Police (ASP) Siddiqui ordered the women police to drag the victims out of the ward. Rani and the volunteers intervened stating that the court order, although providing custody to the parents, did not provide for the use of force to take them away against their wishes, and therefore, that the victims would have to be arrested in order to forcibly take them away from the hospital. When the victims requested to see their lawyers, who were refused entry to the hospital ward at that point of time by uniformed police and plains clothed men, this was at first refused. After Rani and the volunteers intervened, the victims’ lawyers were reluctantly allowed to enter the ward but were only allowed 10 minutes. Around 4 pm, all the volunteers were ordered to leave the ward. One of the volunteers (a 21-year-old young woman) refused to leave the side of the Rani and she stayed with her as the events unfolded. Around 6pm, the police locked the door of the ward. The Rani and the sole volunteer could see through an upstairs window that uniformed soldiers of the army and plains clothed men were chasing all who were present on the road in front of the hospital entrances on two sides. They kicked and punched Yan Yan and the other woman volunteer, who were both thrown to the ground and beaten further. The volunteer was not only beaten but sexually molested by the men, while the women held her and dragged her down the stairs. Both were dragged out physically into the corridor and then downstairs. This group was then joined by another six men downstairs, in civilian clothes. After dragging the Rani and the volunteer downstairs, the group of attackers separated the two, and while they took the Rani to the rear corridor, they took the volunteer to the corridor leading to the front foyer. While the Rani was being beaten and dragged to the rear corridor leading to the rear entrance of the hospital, she heard the attackers saying: “If we are to finish this off, we cannot do it here, it has to be done outside the hospital,” (‘Shesh Korte Holei Ekhaane Kawra Jaabe Na, Korle Hashpataler Baaire Korte Hobei’). She saw more plains clothed men outside. However, it was a well-lit premise and people gathered in front of different structures within the hospital premises could see her and the plains clothes men. The plains clothed men kept an eye on her. Rani took that chance of visibility and ran to the nearest boundary wall and crossed over it. She ran for 10-15 minutes in the dark and found herself at the lakeside. She immersed herself in the water and stayed there for about half an hour. Later she made her way to a nearby house and sought refuge and help. The family contacted her relatives, who came and transported her to a safer location. In the meantime, the volunteer was taken to the front entrance, where a silver colored van, along with jeeps (SUVs), was stationed. The attackers kept her on the floor, occasionally beating her, while others brought the victims and their parents from upstairs and put them into the van. During the chaos of putting the victims into the van, the volunteer took the chance and ran upstairs; and hid in one of the wards’ store rooms. From there she rang others, including Chakma Chief, Raja Devasish Roy, letting them know what had happened and that she didn’t know where the Rani was, as she had last seen the Rani being dragged along the rear entrance corridor. The Chakma Chief, also an advocate at the High Court Division, was at the time boarding a plane from Dhaka to travel to Chittagong, after having addressed the Hon’ble High Court Division and Hon’ble Appellate Division Chamber Judge on the matter. Team Women Chapter condemns the assault on Queen Yan Yan and abduction of the Marma sisters. Indigenous women are not from another planet! !